I altered a Printer's Tray to give as a gift to my parents for their Anniversary. I used all BoBunny products, including jewels, laser-cut wood embellishments, and of course the gorgeous "Avenues" collection - papers, die cuts, chipboard stickers, layered chipboard stickers, etc. 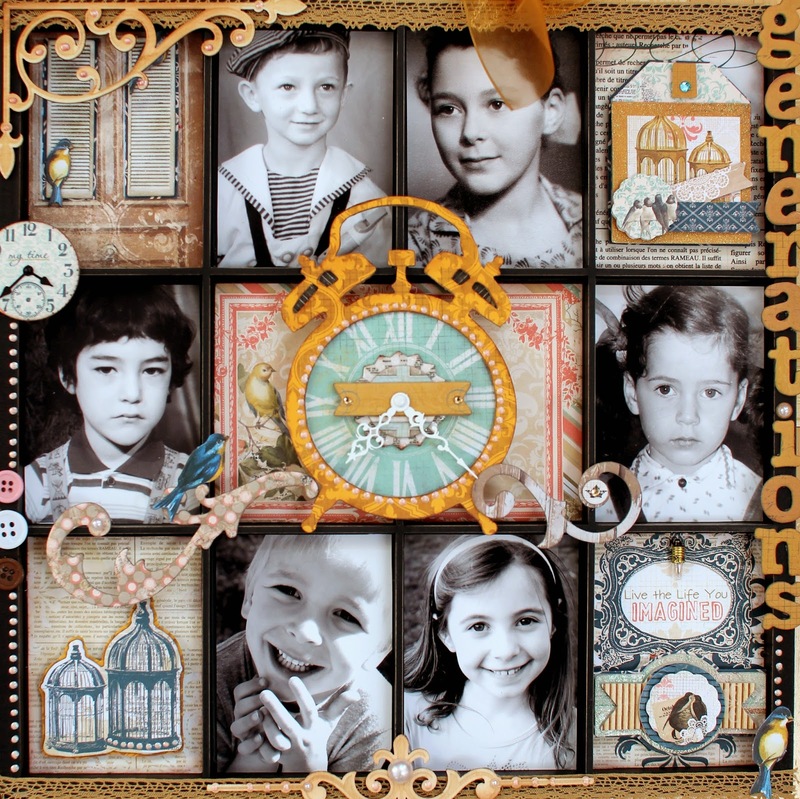 I also used the new Pearlscents to add some dots to the clock, birdcage, the wooden embellishments, and to the tray itself. In the first row, are my mom and dad's pictures of them as kids. In the middle row are my brother and I, and in the bottom row are my kids (my brother doesn't have kids yet). 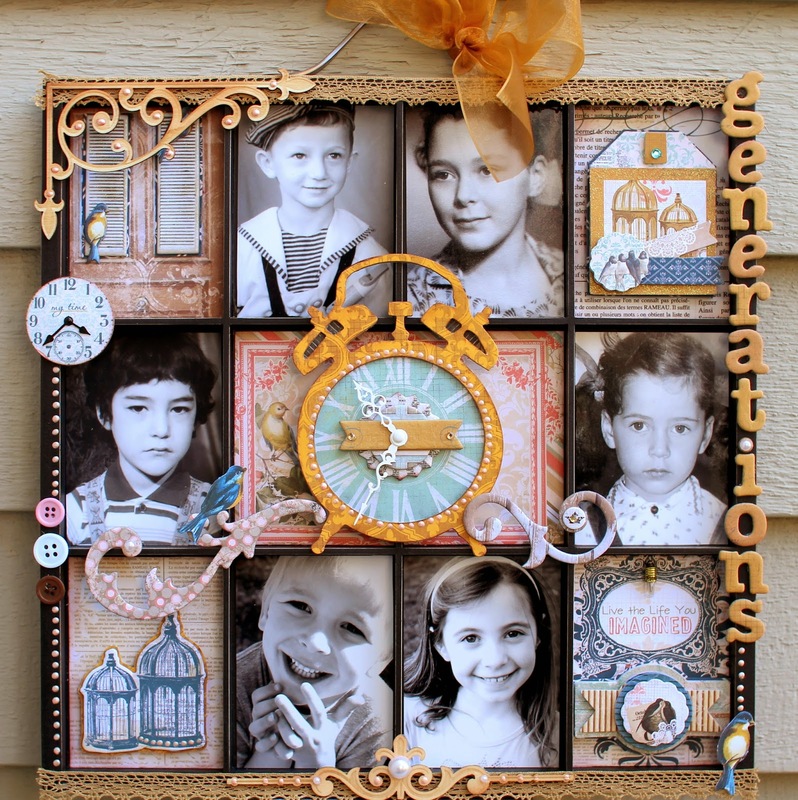 This looks really lovely, great photos and love the clock in the middle section!